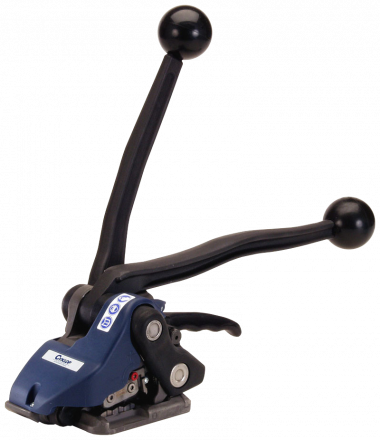 The CH 35 is a robust seal-less hand-held device, suitable for horizontal and vertical strapping of diverse package types. Almost anyone can use the CH 35 thanks to its minimal weight of 4.2 kg. 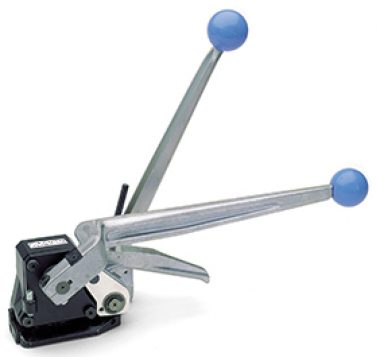 The Rondofix is a tool for tensioning and sealing steel strapping. Suitable for strapping lightweight and simple packages. 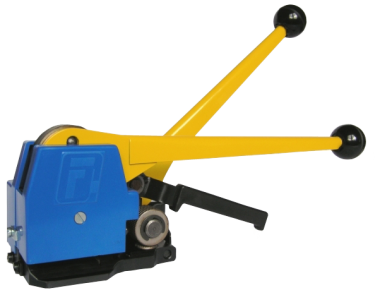 The CR 26 is a pneumatic hand tool for bundling with steel strap with a very high tension strength of up to 8,400 N. The small baseplate makes the CR 26 perfectly suited for the bundling of round bundles and packages. 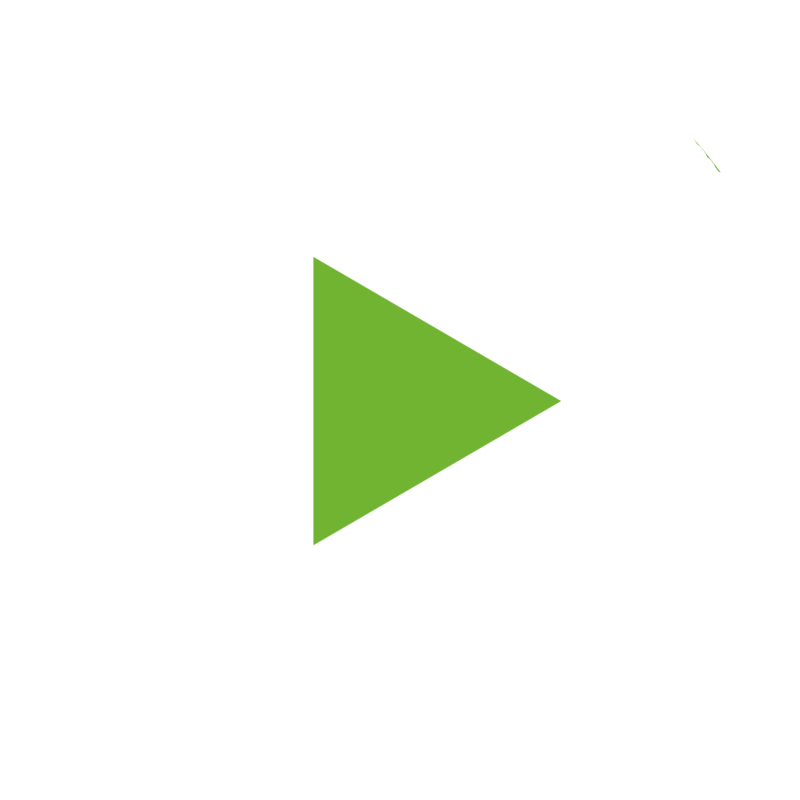 The suspension clip of the CR 26 allows for attachment of a balancer, which increases the ease of use and optimizes the application. 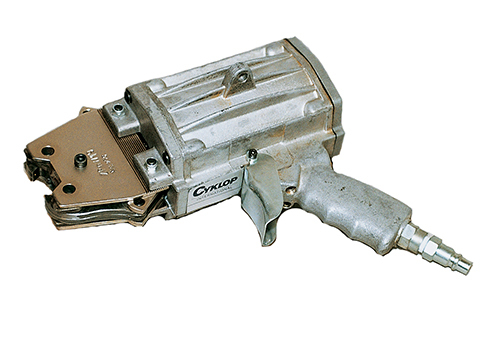 The CR 25 is a pneumatic tensioning and sealing tool for round and irregular shaped packages. 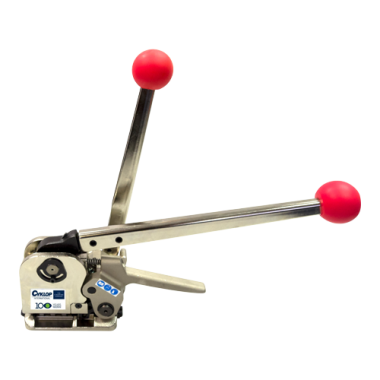 The CR 24 is a pneumatic tensioning and sealing tool for round and irregularly shaped packages. 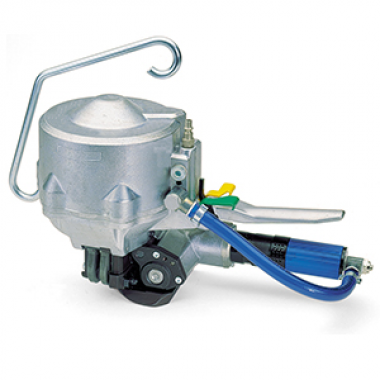 The PN 6 and PVO are pneumatic tensioning and sealing machines for heavy, round and irregularly shaped packages. 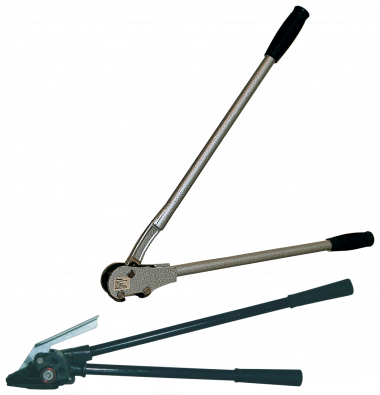 Can tension up to 8,100 N.
The tensioner and seal cutter are an effective combination for manually tensioning and sealing Uniflex and Superflex steel strap. 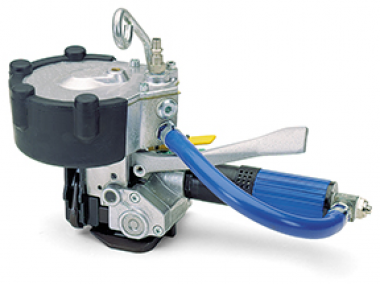 The construction of the tensioner makes this combination ideally suited for strapping round bundles and packages. 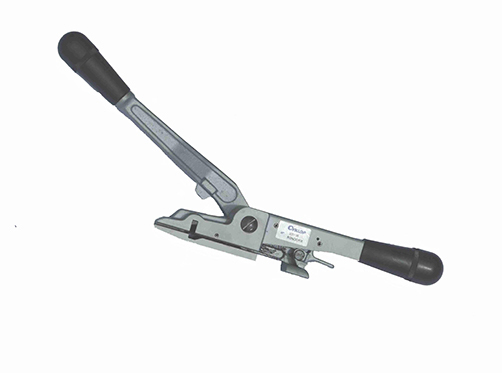 The CH 47 manual steel strapping tool is one of the lightest in its class but can tension up to 6,500 N! Its easy operation guarantees fast and secure strap feed. 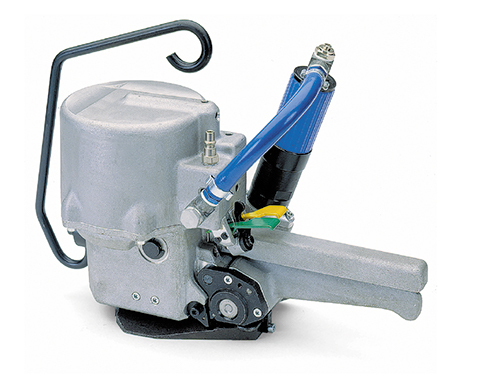 Minimal effort is required to achieve seamless tensioning and sealing. Servicing costs for the CH 47 are kept to a minimum due to its maintenance-friendly design.